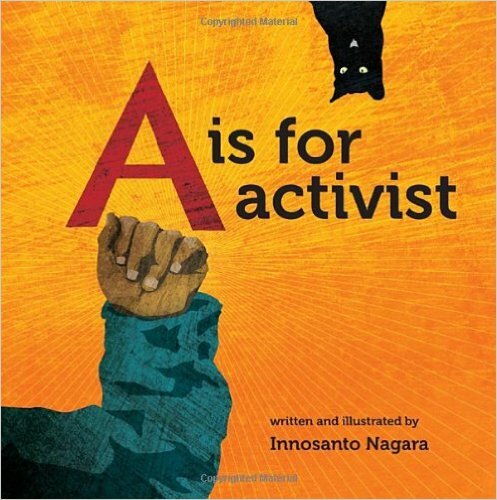 Teach children about social and environmental activism with these activities. Homeschooled children and teens have the time for activism that kids in school just don’t have! Take personal action to improve the environment and make this world a better place for humans and nature. Teens who may be considering futures in health or emergency preparation fields can take courses and help in emergencies both locally and internationally. Consider creating a box full of homeschool essentials, for example, for a family who has lost their home. Our vibrant student and youth groups undertake public demonstrations and letter writing, to teach-ins and face to face meetings with elected and appointed officials. Briefing papers for students. The CRC envisions the ‘whole child’ as a full, valuable, participating member of society. Ideas and resources to take action. How to assemble a model landfill to learn how a modern trash dump works. Worried about the electric power crisis, rolling blackouts? Here are some things kids can do to help conserve energy. The US Environmental Protection Agency shows kids what they can do to protect our precious resources, to help keep air and water pure. Directory of games that engage contemporary social issues in meaningful ways to foster a more just, equitable and/or tolerant society. Learn about the lives, struggles, hardships and dangers of working children. Use the resources provided to learn and take action to make difference! Real life news, great games, global gossip, and lots more fun for kids who are curious about kids in other cultures. Based on the international work of Christian Aid. Earth has warmed by about 1ºF over the past 100 years. But why? And how? Well, scientists are not exactly sure. The Earth could be getting warmer on its own, but many of the world’s leading climate scientists think that things people do are helping to make the Earth warmer. Trump has removed this page. He does not want children to learn about global warming. Try Climate Basics for Kids. The facts and truth of the annual Atlantic Canadian harp seal slaughter. Since September 11th, Roots & Shoots has worked hard to develop a response to the tragedy – a pathway that we can follow to positive action. Youth filed this constitutional climate lawsuit. Their complaint asserts that, through the government’s affirmative actions that cause climate change, it has violated the youngest generation’s constitutional rights to life, liberty, and property, as well as failed to protect essential public trust resources. One of the youth is homeschooled. Like dogs? Consider raising a puppy to be a search and rescue dog. Volunteer your time, your barn, or your horse to help handicapped children feel better. The Story of Elizabeth Cady Stanton and Susan B. Anthony. How kids can also be a force for improvement in their communities. From PBS. This is an animal rights group. Some of the material on this page may be disturbing. Please view this site with your parent. PETA has suggestions about alternatives to dissection and about actively protesting the treatment of animals by zoos, circuses and rodeos. By taking the initiative and starting fundraising projects at their school, church, or community group, students will cultivate valuable leadership skills as well as feel empowered that they can be agents of change in the world. So many ways that you can help save the earth! Issues made easy to understand, from AIDs to Wind Power. SCA provides high school students and college students alike with meaningful conservation service internships and volunteer opportunities in our National Parks, Forests and other public lands. Enjoy adventure, gain experience, and make a difference. How Trick-or-Treat for UNICEF helped other children around the world. The Young Voices for the Planet films feature other youth your age who care about the Earth and are taking action. Watch the movies and see what other young people are doing. We hope the films will inspire you to action. Your voices COUNT! You can make a difference!